The perfect gift of golf for any occasion! There is no expiration on the use of these gift cards. 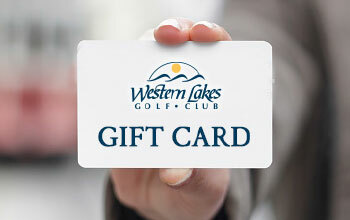 They can be used to purchase any goods or services offered at Western Lakes including: rounds of golf, merchandise, lessons and food & beverage at turn bar. Gift Cards are mailed free of charge within 2 business days of order.